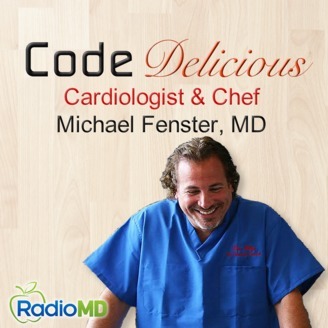 Code Delicious with Dr. Mike breaks all the rules. Unabashedly confronting the questions, concerns and conundrums that continually confuse both public and experts alike; Dr. Mike takes us on a tasty trip of inquiry. 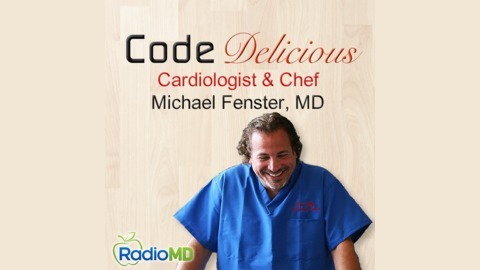 Sometimes controversial, but always entertaining Dr. Mike covers the intersection of food and health as no one else can. As a professional chef, Dr. Mike takes us on a culinary tour de force. As a cardiologist and educator, Dr. Mike guides us through the changes to our food and food pathways over the last half century that have resulted in our modern epidemic of disability and disease. The result is a distillation of pure pleasure seasoned with life altering information. 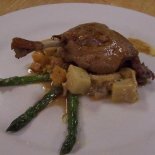 Chef Luca Paris joins Dr. Mike to discuss his latest savory recipe.In this segment, Chef Luca Paris joins Dr. Mike to discuss his latest creation for Culinary CPR: Duck Confit. Preheat oven to 220 degrees, In a large hotel pan place aromatics on the bottom. Place the duck legs intertwining, over the aromatics. Using all fat from the breakdown of the whole ducks, cover the duck legs completely. Cover with parchment paper, then foil tightly. Cook for 4 hours, or until the meat easily breaks away from the bone. When cooled, take duck legs out of the fat, and strain fat. Place in ½ hotel pans with fat poured over the legs. Discard liquid, keep all fat for other uses. Get farm to table ingredients and recipes delivered right to your door every week with Sun Basket. Go to SunBasket.com/delicious to save $35 off of your first order.